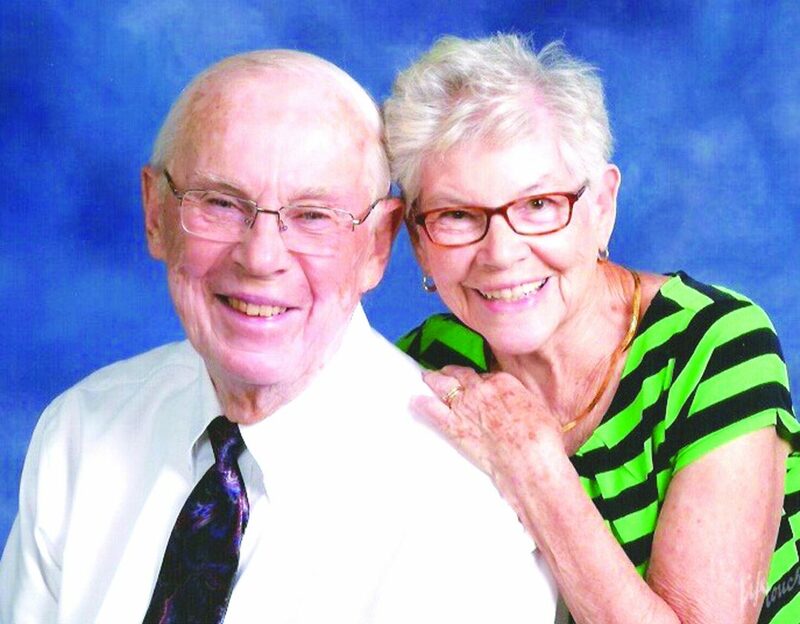 Frank and Mary Mirek of Dunkirk recently celebrated their 65th wedding anniversary. 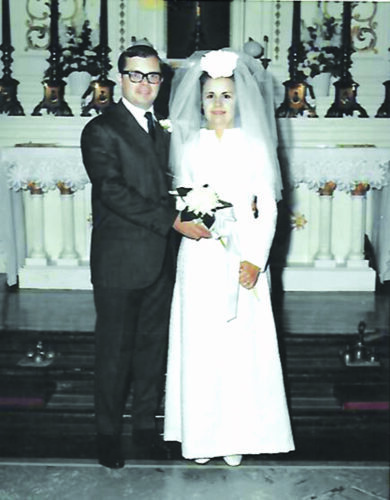 The couple was married Feb. 13, 1954 at St Mary’s Church. This wonderful union began at the old Sweet Shop on Lake Shore Drive in Dunkirk. Frank is the son of the late Frank and Stella Mirek of Dunkirk. Mary is the daughter of the late William and Hildegarde Thompson, also of Dunkirk. 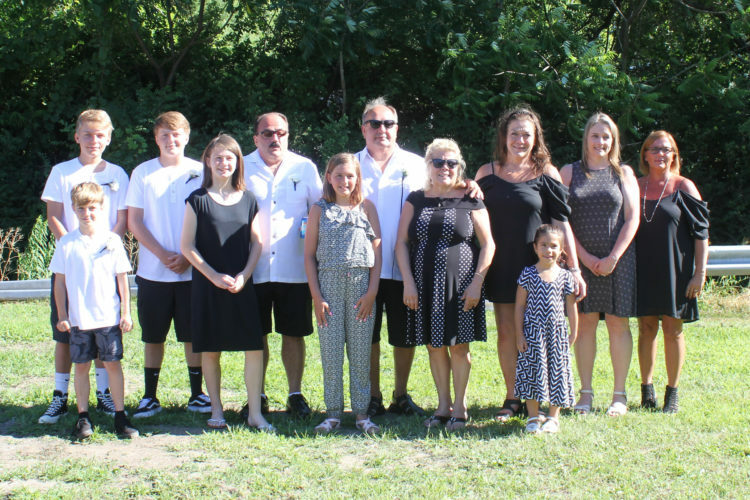 The couple has two children: Ron Mirek (his wife Caryn) of Dunkirk and Sandy Malikowski (her husband Joe) of West Seneca. 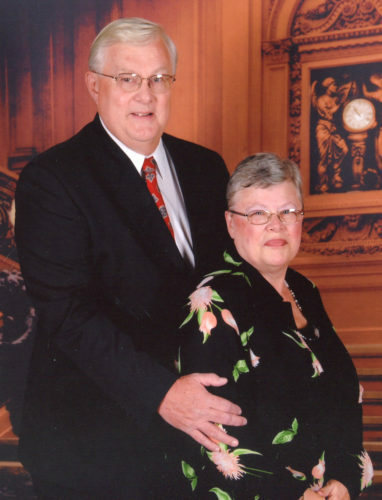 Mary and Frank have four grandchildren: Mary Kate Patnode (her husband Tucker) of Amherst, Sara Petko (her husband Jason) of Clarence Center, Dr. Tom Malikowski (his wife Gretchen) of Rochester, Minnesota, and Haley Mirek of Silver Creek. 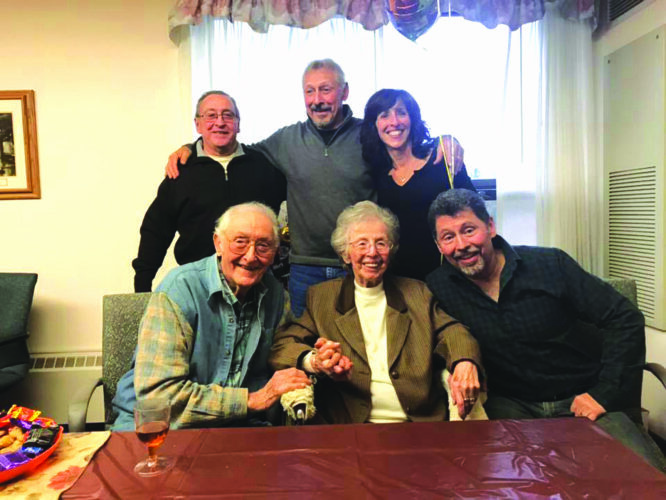 They are also blessed with four great-grandchildren: Sean and Dylan Patnode, Henry Petko, and Carmela Malikowski. In the next few months, two more great-grandchildren will be added to their growing family. A private dinner celebration was held at Pasquales Restaurant in West Seneca. A Mass in their honor was held the following day at the University of Buffalo, officiated by Monsignor Patrick Keleher. Mary and Frank are still happily living in their First Ward home that they built together 60 years ago. They remain active in the community and in Holy Trinity Parish. They enjoy spending time with friends and family, going to the casino and the gym. 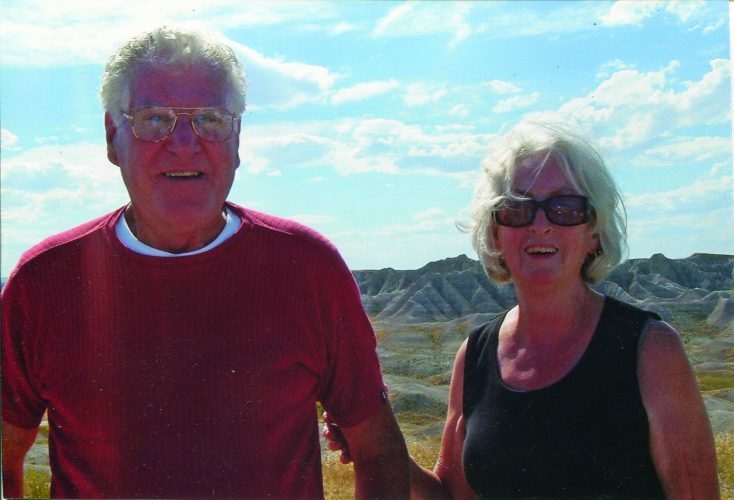 The couple especially delights in doting on all their grandchildren and great-grandchildren.